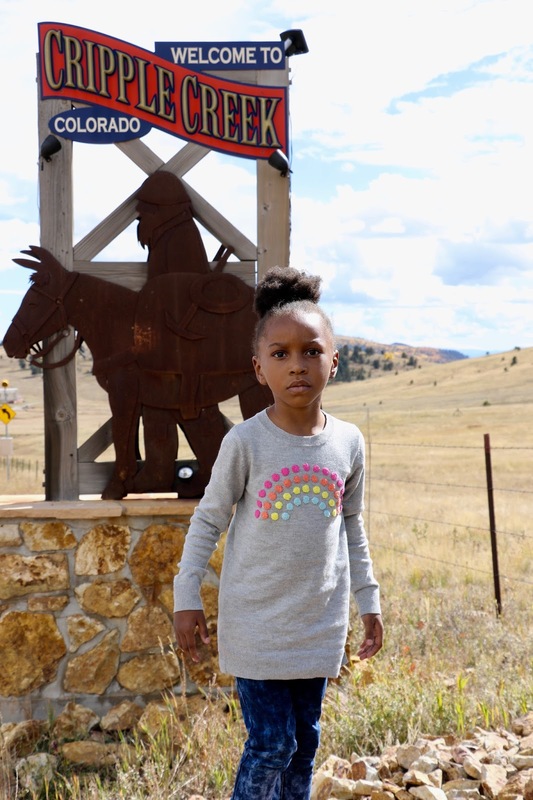 You may remember not too long ago I talked about how my lovely adopted state of Colorado, while considered to be one of the healthiest state in the United States is not so quite healthy when it comes to our kids. Most of you were surprised and even I was surprised when I first heard about it. Our kids are actually listed as number 24 in the nation in terms of the level of physical activity that our kids receive. An average of 55% of our kids don't get the physical activity that they require, thus making our kids not quite as healthy as the adults in our state. As a mother who has resigned herself to living in this beautiful state, and I have to admit that it is beautiful, I would LOVE for our kids to be healthier and it starts with us the adults. We need to take a stand and say NO MORE 24! This little girl is my life and is currently in Pre-Kindergarten. 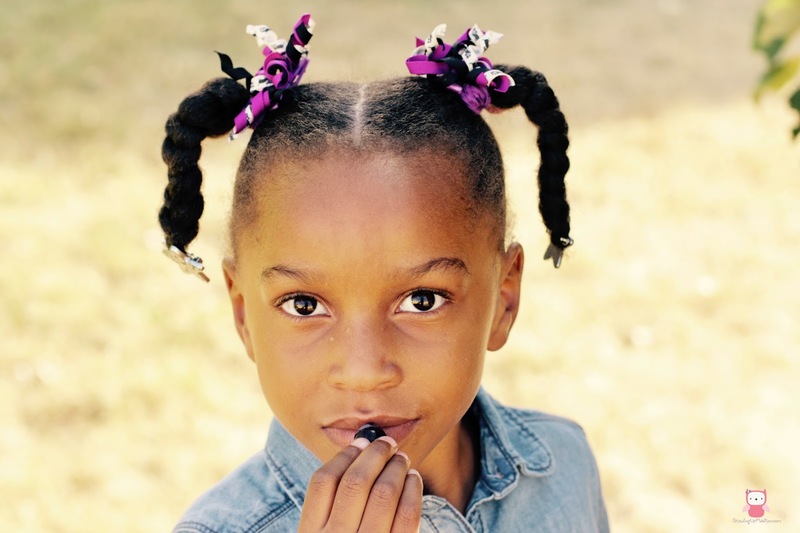 While she gets to exercise in school because her teacher takes her outdoors daily for a quick recess, that isn't the case with most of our kids in school here. I mentioned that while my junior high schooler gets PE daily, my high schooler on the other end only gets it twice a week. The food in school isn't that great either. They don't get a healthy, nutritious meal daily, compared to other schools in other states, and there have been days when they've complained that the milk had an expiry date that had passed, or that the lunch was just so "disgusting" that they just passed it up completely. All kids deserve a healthy, nutritious meal, just like they deserve to have physical exercise, but it's not happening right here in our schools. That's why it's up to us to make a difference. We need to take action to ensure that our kids get what they deserve. It can be as simple as writing a letter to your local school district, the principal of the school that your child attend, and even bringing up these issues at your local parent teacher association meetings. How can there be change if we just sit back and allow things to happen. Our children are our future and we need them to be healthy! As a native New Yorker, we were considered a concrete jungle, but I'm going to tell you that I had more parks closer to me in that jungle than I do here in Colorado with our wide open space. Thankfully, I have a backyard and a front yard big enough to have our own mini park, but that isn't the case with every child. We have a lot of open spaces here and we need parks and community centers built so our children can have the exercise that they need daily. Start writing letters to your mayor or city council members and let them know that our children deserve so much more! 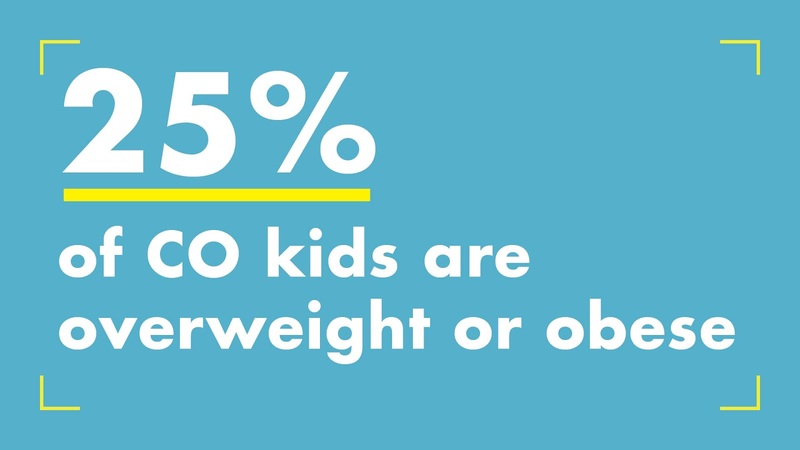 There is absolutely no reason that 25% of our children here in Colorado should be overweight. No excuse at all! I get really passionate when I talk about my kids and their health, this however isn't just about my kids, but all the kids here in this beautiful state. We need to fight back against childhood obesity, but the fight has to start here with us right now. It starts at our own dinner tables, in our doctor's office, it starts with educating ourselves and living an active and healthy lifestyle. My motto has always been, "Don't just talk about it, Be about it!". Take your kids to the parks, cut out the junk food, but most of all, get out the house! Let's do what we have to do to make our children healthier. If we have to take our fight to the state capitol, let's do that! We want safer sidewalks for our children, more bike paths, more parks and healthier lunches. Bring back PE in the school curriculum and let's get this under control! Once again join me in signing the pledge to end childhood obesity once and for all. Sign up at NoMore24.org. Are you in this fight with me? This is a sponsored conversation written by me on behalf of LiveWell Colorado. The opinions and text are all mine. 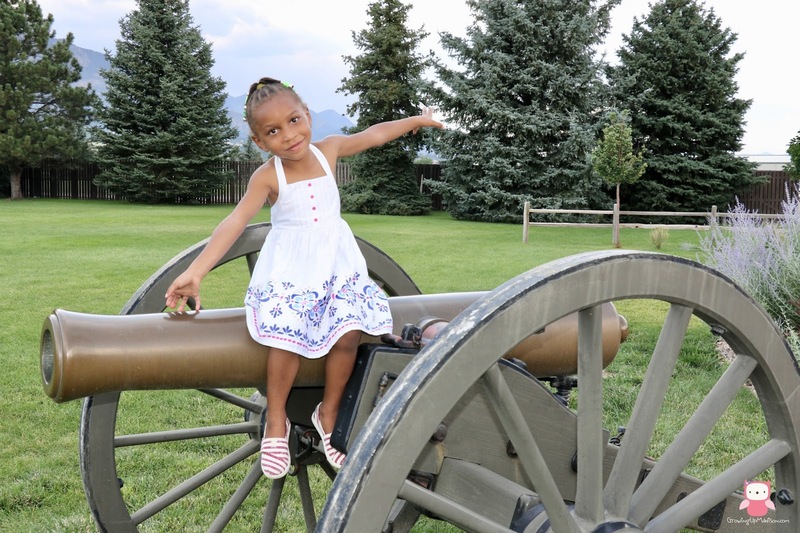 In a beautiful place such as Colorado, I would imagine there are all sorts of outdoor activities families can engage in. That would give me a good reason to get out and exercise. Healthier lunches should be a given for children as well to help fight childhood obesity. I do know that the kids do need healthier lunches for sure, anything that will help them. 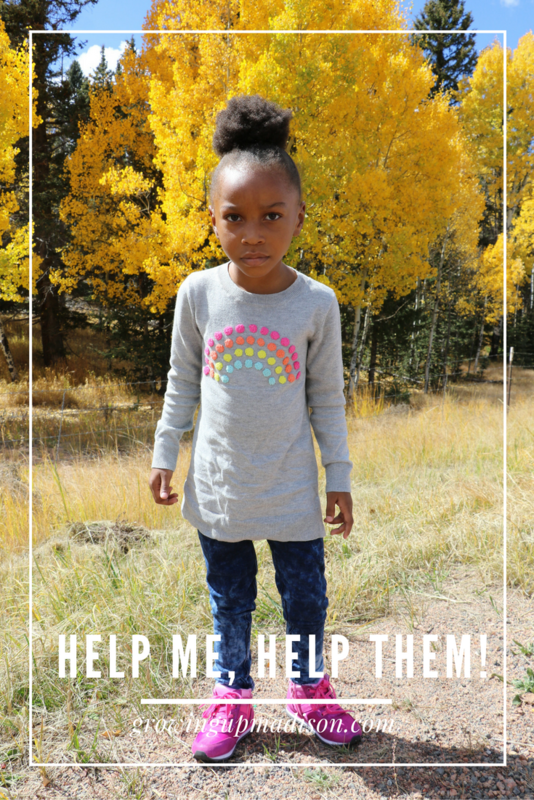 This campaign is very important for the kids of Colorado. Keep up the good work. Change takes time. Changes do take time but this is one change that we want to happen sooner rather than later. In my state, PE in high school is daily for the first 2 years and then no PE unless you play sports. Middle School has PE daily for all 3 years. I would love, love love to have not only more but also safer bicycle paths for both children and adults. This is a great cause. I would love that as well too. We don't have any safe bicycle parts in our neighborhood either. Our area could definitely use safer bicycle paths. There are lots of places that would be easy to bike too if you wouldn't have to fight huge pick up trucks. This is a sweet post. I can tell that you really care about your children and the children of our state! I really love Colorado and hope that we can raise active children by taking advantage all there is to do here! I hope that the ones in power who can help would do better for us as well. I think obesity is one of the problem in our society. We should help our children to be more healthier to prevent obesity! Yes! I'm with you to fight them. Thank you Dana and yes we do need them to be a whole lot healthier. Child obesity is a serious problem! We need to encourage more play, less electronics, healthy eating, and more activity! Madison is such a cutie! I can't believe that Colorado would be a state where the kids are overweight. I'll be putting my signature to help. Thank you for bringing awareness to this problem. Thank you Adrienne and I was just as surprised as you were. Thank you for your signature. Yes!! It is so important to talk about this! Children need to eat healthy meals and get exercise! I agree wholeheartedly, but we need to help make that happen. You are so right! Thank you for bringing this up! I worked out the following formula for a better the nutrition: the less package the product has the healthier it is. And whenever I notice that our garbage bin contains too much plastic packaging, it means it is time to go to the farmers' markets. That's a great way to do it. I've never really paid much attention to the packaging but maybe I need to. In high school I only had to take one semester of gym - and I was thankful for that! I hated gym, but we were a very active family getting outdoors everyday for walks and out in the woods for winter sports. I try to get my kids out most days. You hated gym but then you were active so it balanced out. Now if there was no gym and no activity then that wouldn't have been good. This is such a sad dilemma! I totally agree and appreciate you creating awareness around this very important issue regarding our children. It really is sad and I hope things can get better. Group activities are the best way to encourage regular exercise. This post should open eyes to people who let their children eat whatever they want. Fresh and healthy foods should be incorporated right away. We may let our children eat healthy at home, but when our kids are at school, I think their meals should also be healthy. That is a great way and luckily my kids are all involved in a sport. It's insane to me how many kids have weight issues these days! I know we all hated PE when we were kids, but looking back in thankful we had it! Oh I'm very grateful that I participated. I hated it then myself but I'm also glad that it was done and I want the same for my kids. This is indeed a great topic about ending childhood obesity. It really is a problem in the U.S. and to stop it I feel it has to start with the parents. Kids now a days are not getting outside like we did as children and limiting the video games, etc. can help with this problem. I believe that parents can do outdoor activities a couple times a week with the family to get the kids more active. Thanks for sharing the awareness. Yes it really is and we need to stand up and help put a stop to it. Outdoor activities as a family sure does help. You're doing a great job of getting the word out about childhood obesity. I grew up with a huge yard and many acres to roam. I remember hating to be inside. My siblings, friends and I would almost cry when it was time to go inside for baths and bedtime. We didn't care much for TV back then and video games were not a thing yet, neither was childhood obesity. Thank yo Alli, I'm trying my best to get the word out and hopefully others will join in such a great cause as well. I LOVE this! More needs to be done to prevent childhood obesity. It sets children up for a lifetime of medical problems, and right or wrong, judgements. It's a shame, but it's true. Yes it really does. While I love seeing chunky babies, seeing overweight kids isn't so cool. We need our children healthy and overweight isn't the way to go. This is such a great message. Just getting kids out to play and encouraging them to eat healthy foods. We have to do what we have to do! With this generation it can be so hard to get them out there and moving. Kids so prefer to be on their electronics. Unfortunately, my daughters PE requirements for high school were met in her freshman year. I couldn't believe they did that. But, she does run 5k's now and goes running with her dad when she's with him. Maybe we need to take the electronics away, if that's the only way we can get them out. We have to do it! I really would have thought that Colorado would be more of an active place with all of your beautiful outdoor spaces. There's always more we can do to help our kids to be active and healthy. That's what I thought as well until I learned of this. It's really sad actually. I know for many families, childhood obesity starts with the parents. I have passed down my poor eating habits to my daughter. She is almost 30 pounds overweight. That is a huge concern. Well Kelly, since you know about it, what are you doing to change that? Our schools still have PE. I wish we had more sidewalks and bike paths, though. PE isn't enough exercise for growing kids! PE sometimes isn't enough, but it can help, and a little bit is better than none. Signing the pledge right now. This topic is so important for our children! Thank you very much Brianne, we appreciate your help. Living in the pnw, we have lots of places to hike and explore, but childhood obesity is a problem sround here too. Ny niece is 9 and weighs 130lbs, which is way over the intended ideal for her height. But it's hard to tell your sibling something when they struggle with obesity issues as well. I'm so sorry to hear that but don't give up. Maybe you can talk to her and let her know that you care about her health. She may just need to hear that from you. this is an important issue to raise awareness about all across the US. There are so many issues that stem from being overweight-prevention is the best method! Prevention really is the best method, but when it's already happening, the next best thing is awareness. I was lucky that my two oldest liked to be active and participate in sports but my younger two are more indoor. I have to plead with them to get them outside on a nice day but I know that it will help them stay healthy. That's great with the oldest but you do have to encourage the youngest ones to go outside. Sadly in my area, all of the playgrounds get built in the poorer communities, and most of them end up vandalized rather quickly. I do think all children deserve a good area that is safe to play, but I think we'd have to beef up police patrols too, unfortunately. And that's something that you need to bring up at your local meetings for your community. You need to be an advocate for our kids. Weight problems in kids can last their whole life. It is so important that programs like this exist to encourage healthy eating and physical activity. Yes it can be and that's why we need to address it now rather than later. Childhood obesity is a problem everywhere. I was never a fan of PE when I was younger, but we all used to play outside, even when the sun went down. We didn't sit in the house on computers, phones or playing video games. There are some school who are so understaffed and without a budget for gym classes. And we need to get those schools the budget that they need. Write a letter to your local government, raise funds, do what you have to do. Our kids need us to be their advocates. Wow, I had no idea childhood obesity is such a problem in CO! I have heard that this is one healthy state. The problem, of course, will be that this trend will slip fast if something is not done about the future generations. Thanks for sharing. It is healthy for adults but our kids on the other hand aren't as healthy as they should be. It's sad how many obese kids there are and some of it starts at school. Do you know recess is optional at my son's school? SMH. I have to work hard to find him activities outside of school so that he can get his exercise in! That's what has me worried, this optional recess. That should not even be a thing! I agree with you! This is a great way to raise awareness and end childhood obesity. Our kids deserve to be healthy. Yes they do, and I'm hooping that you'll sign the pledge as a native Colorado resident yourself. I'm happy to hear that your school is taking action. I wish all schools will follow suit! This campaign is so important. I really cannot believe how many children suffer. I am so glad there is support and help for kid starving or needing help with obesity and education on Nutrition. Yes it is very important and it will help if you signed the pledge. That's a bummer. I know that my kids are not getting the lunches they should at school nor are they getting the right exercise either. What are you doing about it Kita? This is one of the reasons why I began homeschooling my children. I just don't trust the public school system to do a good job anymore. That's awesome for you. Unfortunately not everyone can so for those who can't, they need all the help they can get. It is so important to teach our kids proper eating habits. We need to educate people about the dangers of childhood obesity. We do need to teach them that, but it's one thing to teach them that at home and then have them go to school and they don't get the nutrition they should get. Oh I was horrified when I first heard that from my son as well. While I'm not sure about every state, my concern is for here in Colorado which is where we currently live. I agree it is very important to educate your children about obesity. I know the schools don't do as good a job as you expect so my hubby and I teach our girls that eating healthy, keeping fit and sometimes a treat is ok. Sounds like you're on the path to healthy with your own kids. Lets keep it that way! Education at a young age is so important in the fight for childhood obesity! What a great post!! When you teach them young, hopefully your teaching will stay with them for years to come. Yes it is, thanks for stopping by Nicole. I'm more mindful of what my children are eating than my parents were with my siblings and myself. Not that they were avoiding the issue, it just wasn't as widely talked about because it wasn't an epidemic yet. I sure ate a lot healthier growing up compared to now. I didn't have the fast food restaurants and eating out was a treat. We planted most of our own foods so it was all "organic" compared to now. I wish organic was also more common and a lot less expensive. I have to agree with that. I have to say that I was a lot healthier living in NYC than I am in Colorado. I drive almost everywhere. I want to say first that I love the photos you took of your daughter. But I have some serious concerns about the schools health. School serving milk past the expiration date? Nope unacceptable someone needs to get ahold of that school someone can get really sick with that! Also I hate the states lunch option might as well be prison food. I seen the comparison of lunch in other countries and man are those kids eating good! Oh I was extremely shocked myself. My son actually took a pic of the date and I was horrified. My kids eat most of the time in school but sometimes they take their own lunches which they actually prefer.